The drive south from SF was all parched valleys and lush canyons and grassy hills, tumbleweeds and then rain, and then a glut of traffic letting us know we were within a hundred miles of Los Angeles. 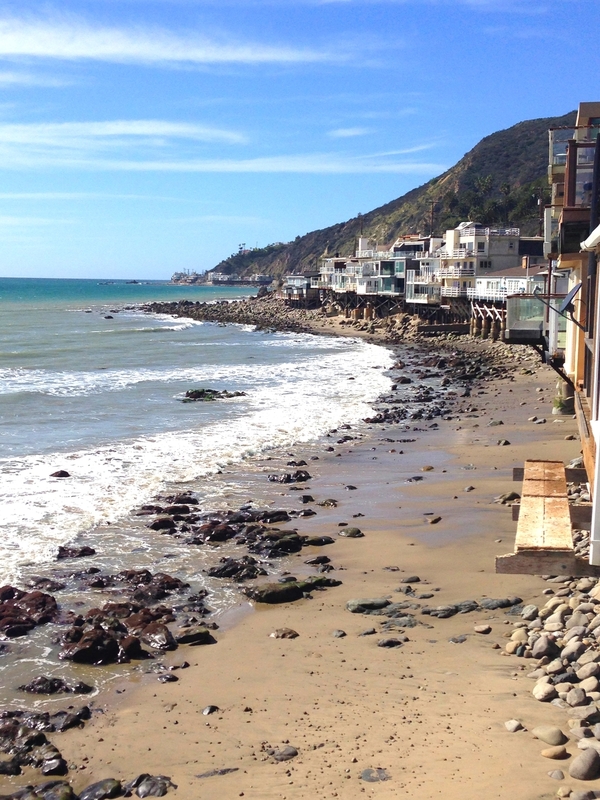 We bought groceries and made our own supper in Malibu. There's a trap door in the floor of a mini balcony we are renting, which leads to the beach, which is UNDER THE HOUSE. We mostly slept in and bagged around waiting for the tide to go out enough to throw the ball around for Edie and Ladydog, who got splashy and sandy and all tired out. We got hungry, and our first destination was Tamara's Tamales; a 20 year old mother-daughter establishment in Venice. The menu distinguishes vegan from vegetarian, and in addition to straight up classics, also includes some modern ideas cooked in the traditional style. We read the newspaper and the MLK-quotes on the homemade inspiration posters while we waited for our food, which was prepared by a couple of young fellas who were deeply "mellow", in a particular Venice Beach kinda way… After we plugged a little more money in the parking meter, the tamales came out and blew our god damned minds. 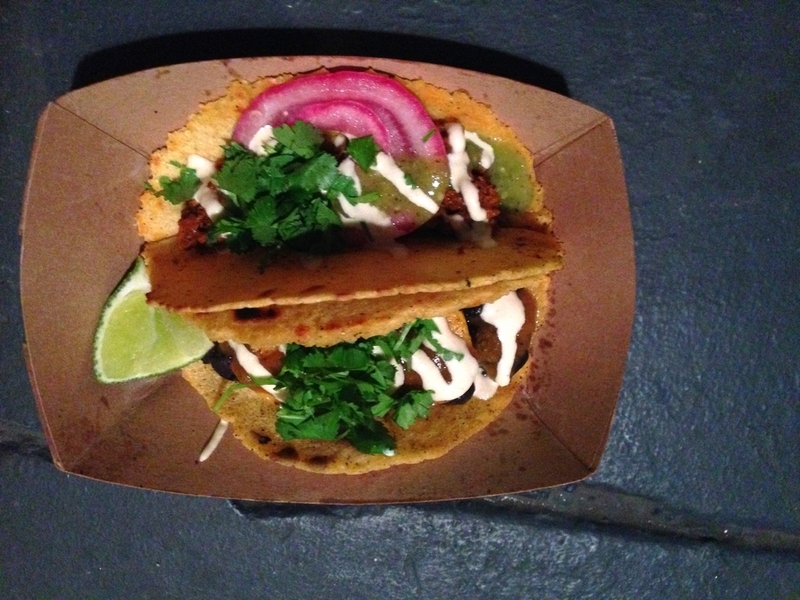 The masa-to-filling ratio was a perfect balance, all the ingredients combined to the definition of Latin soul food. We are almost bummed that we came here, cause we are going to dream of these tamales forever. 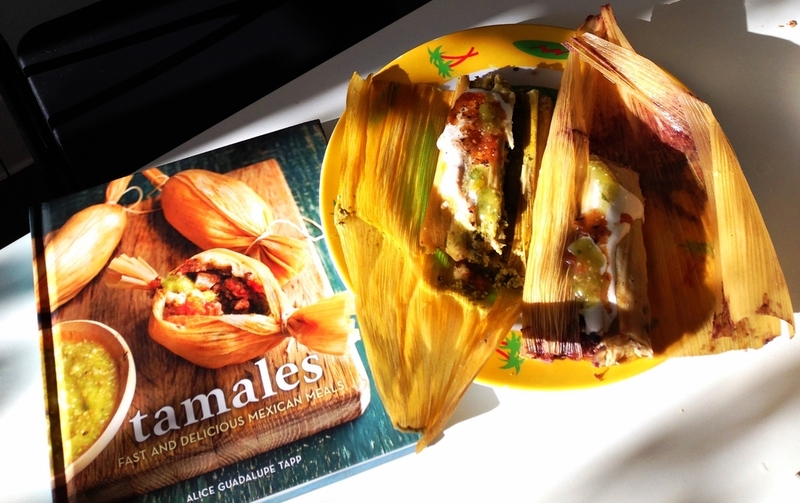 Macey bought proprietor Alice Guadalupe Tapp's cookbook, "Tamales", so at least we have some hope. Venice does not exist between or even in the shadow of a billion condos. Little canals, every style and interpretation of "bungalow" and a few main drags for shopping and eating and drinking border the historic beach and boardwalk. Things are getting expensive we hear and tech is moving in and cops are getting shittier, but mimes are still rollerblading on the promenade and shredded bods are still lifting at Muscle Beach and the background noise is still a loud mix of shoulder-carried boomboxes, skateboards and kids laughing. We walked around and spilled a couple of coffees down our shirts before going to an event we got a heads up about at a bicycle store. We are not journalists, so we forgot to pay attention to what that event was about or the name of the shop; we came for the tacos. Mick and Ace of 100tacos had been hired for the night to serve up two types of vegan tacos, which they make on the spot-tortillas included-and there are only ever 100 of them. Mostly working around the Silverlake area, it's also usually all brought to whatever location it pops up at, by bicycle. This sounds kooky, and i guess it is, but it also seems like it comes from a place of enthusiasm and positivity and lighthearted ingenuity. We can dig it!